Speaking for the first time in a televised interview following special counsel Robert Mueller’s conclusion of the Russia investigation, President Donald Trump launched into an attack on those who were involved in the inquiry. During an interview with Fox News’ Sean Hannity, in which the president spoke via telephone, Trump used words like “treasonous” and “illegal” to describe the investigation, according to reporting from CNN. “We can never allow this treasonous, these treasonous acts to happen to another President,” Trump said in the interview. He also suggested that those involved in the Russia investigation had ulterior motives — including attempts to undermine the U.S. government itself. Trump went on with his assessment, suggesting that the investigation was hypocritical and that Democrats would “have 100 people in jail right now and it would be [considered] treason” if Republicans had gone after former President Barack Obama in the same manner. In actuality, there were at least four Congressional investigations led by Republicans into Obama’s administration during his tenure, per reporting from the Washington Post. Republicans also brought up the possibility of impeaching Obama on several occasions, and Trump himself attacked the credibility of the former president repeatedly and for years when he propogated the “birther” lie, alleging Obama was born in Kenya, not the U.S.
Trump, in fact, allegedly continued to peddle that false notion into his own administration, according to reporting from Vox. Nevertheless, Trump continued his attacks on the Mueller investigation, suggesting that in the future such probes of a president’s inner circle should come with severe consequences. 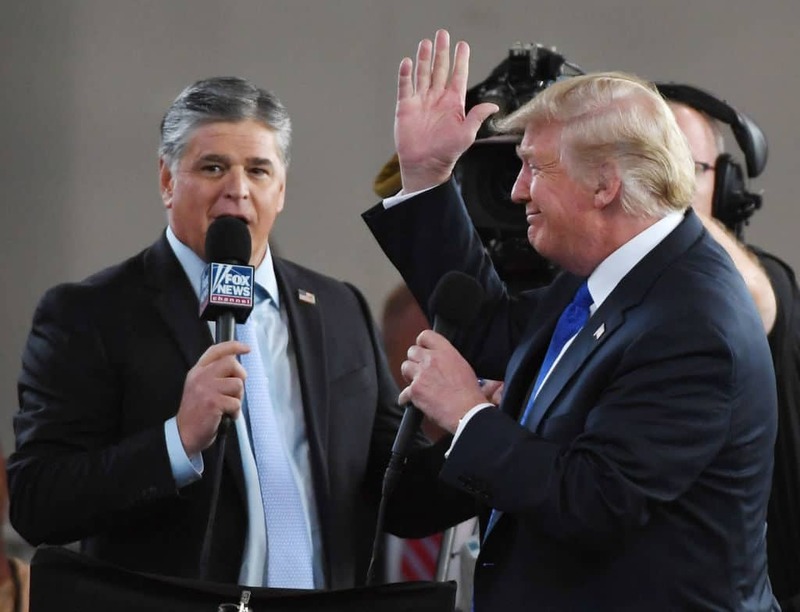 “In 50 years from now, in 100 years from now, if someone tries the same thing, they have to know that the penalty will be very, very great, if and when they get caught,” Trump said in his interview with Hannity. Indeed, the penalty for treason under the U.S. Code includes the death penalty, or if such punishment isn’t attained, a minimum of five years in prison.